Campaign for Peace and Democracy’s Statement on Tunisian Events – pretty solid statement. What a difference a month makes. After more than 50 deaths, hundreds of wounded, perhaps thousands of arrests and tortures in Tunisia at the hands of Zine Ben Ali’s security forces and repressive apparatus, the mainstream media in the West has `discovered’ the Tunisian crisis. And now the race is on: which media outlet can win a Pultizer by feasting on the political corpse of Zine Ben Ali? Will it be the NY Times which has awakened from its Tunisian stupor with a series of hard hitting, excellent pieces? Will it be NPR that is trying to recruit Tunisian bloggers and Facebook addicts (admittedly I am one too) to gave an `authentic’ flavor? Are members of Congress now getting out their atlases, trying to get it straight that Tunisia is not a part of the Indonesian island chain? That the New York Times is taking the Tunisian crisis seriously, is of course, welcome and not only because the story deserves coverage. It suggests something else far more important: that the powers that be in the United States have given the Times the go-ahead. And this is important for another reason: when trying to learn about Tunisia, the Congressional flock pretty much always takes its lead, advice from the State Department. This in turn opens doors for peace movements, human rights organizations who have long been well informed on the Tunisia situation to exert genuine influence. Speculation? Of course. But I’ll be dollars to high quality donuts – even bagels – that this is what is transpiring. For starters, history suggests, and here we have many examples, that the Times would not move on Tunisia without the express consent, the go-ahead from the State Department. The fact is that as the WikiLeaks Cables concerning Tunisia (called TuniLeaks) vividly reveal, the State Department wrote off Ben Ali as a viable political asset long ago. But `State’ couldn’t give the Times their blessing until they convinced the Defense Department and the National Security Council, both of which were unsure of how cutting Ben Ali loose would impact U.S. security arrangements with a Ben Ali replacement. Would a post Ben Ali government maintain Tunisian commitments with AFRICOM, or Tunisia’s support for extraordinary. rendition? The fact that the U.S. Congress was allocating $12 million in emergency military aid to Tunisia (reported by Stephen Zunes) even after the protests had begun on December 17, sums up US policy towards Ben Ali in a nutshell: US security concerns trump its support for democracy, human rights every time. After all, if such `arrangements’ come unglued in Tunisia it could trigger a regional stampede, a kind of `domino effect’ with other countries – Egypt, Morocco, Syria, Yemen – backing out. Some modus vivendi needed to be consummated, some assurances extracted from the Tunisian military – with which the United States has many and varied contacts – that Tunisia’s `treaty obligations’ with the United States would be honored. Only then was the New York Times, for whatever its limitations, still the most politically minded and sophisticated media in the United States, `unleashed’ to cover the increasingly pathetic last days and hours of Ben Ali’s 23 year rule, a rule long given a veil of acceptability, the State Department seal of approval, having been stamped as `moderate’. The `moderate’ label is undoubtedly the highest honor that can be bestowed on an otherwise corrupt and repressive dictatorship. Few wore this badge of honor more proudly than the little two-bit political skunk, US trained at a police academy in Maryland, than Zine Ben Ali. It is likely that future revelations will suggest that the debate in Washington over Tunisia was intense with the State Department arguing even before the current crisis erupted that Ben Ali goose was cooked, that the U.S. interests could best be served finding a `suitable’ replacement who would cause as little disruption as possible to US interests. of military pre-emption to neutralize potential long term competitors, be they Iran or China, but diplomatically in the case of Tunisia, Washington is trailing, not shaping events. Indeed what stands out in all this is how helpless both Washington and Paris have been to coax the crisis in Tunisia in one direction or another. And it was only when, in reality, there was virtually nothing left of Ben Ali’s regime, nothing left to support, only after those remaining fragile threads on which his legitimacy rested had frayed and then snapped – that administration hawks had to concede defeat. Go even lighter, if possible avoid mentioning/exploring the implication of US-Tunisian security arrangements. With these reservations in mind , and visions of another Pultizer Prize dancing in their heads, the New York Times sent David Kirkpatrick, one of its most talented reporters, along with a photographer to Tunis and let them loose to do their thing, just as Ben Ali, hoping for a reprieve from his people, lifted all press and internet censorship. Just in the nick of time; Wasn’t much left to report, to uncover actually. 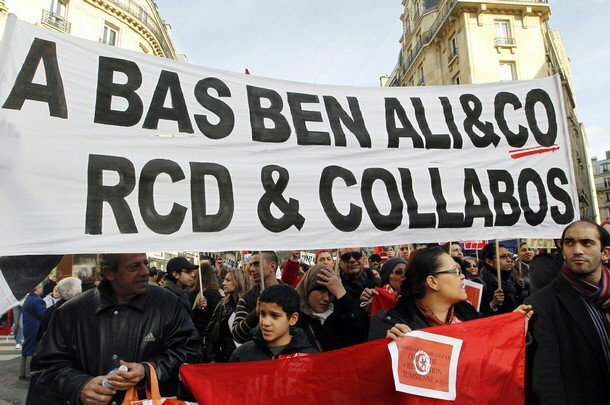 After a month of non-stop, increasingly broad based and militant demonstrations, scores of deaths, a tightening noose of repression leaving Ben Ali increasingly exposed and isolated, there isn’t much pioneering journalism left for Kirkpatrick to unearth. Frankly Facebook and U-Tube had been the Times (and Le Monde) to the punch long ago. All that is left of the story for David Kirkpatrick are the scraps, along of course with stories that others have told earlier and in many cases as well or better than he will (although the guy can write and I am already impressed with his insights and descriptive abilities – it is just they are hardly original). Look at his first article. Well written, yes. New material? Hardly. What does he discuss? The looting of Ben Ali’ and Trabelsi clan villas in Hammamet with photos. Minus the looting, none of this is new. For good measure, this first major piece (page 1!!) on Tunisia in the New York Times was accompanied by a short but hard hitting editorial about the dangers of supporting scurrilous types like Ben Ali meant to prick liberal consciences. Meanwhile, if for the Defense Department strategic alliances trump human rights, the Wall Street Journal’s `breakthrough story‘ on the Tunisian uprisings is a piece worried about how the country’s financial rating might be effected by Ben Ali’s abrupt departure from the country. Some day it will be interesting to learn how accurate or not are the above speculations. But regardless, more concretely, the new interest that the New York Times is showing in Tunisia, cynical and late in the day as it might be, has important political consequences. 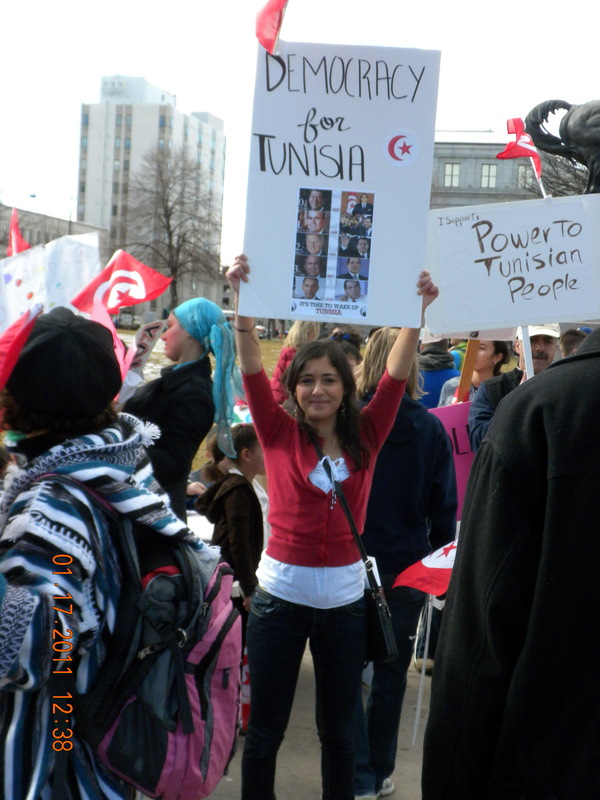 It changes the political chemistry in this country about Tunisia, a place almost unknown to readers in this country. Tunisia is now on the map and U.S. policy in Tunisia, until now little more than a footnote to other U.S. Middle East policy concerns, is now front and center. I am deeply troubled and uncomfortable to see an intelligent guy like you using Stephen Zunes as a source. I don’t know where Stephen Zunes is getting his $12 million figure, but I can assure you it is non-sense for him to say “…as the popular uprising against the Ben Ali dictatorship commenced last month, Congress weighed in with support of the regime by passing a budget resolution that included $12 million in security assistance to Tunisia…” and insinuate that the US Congress was supporting Ben Ali in his last hour. $4 million of the funding is for counter-terrorism projects and $3.2 million is for stabilization operations and security sector reform. In reading the fine print, the counter-terrorism money is for preventing Tunisia’s border with Algeria from becoming a smuggling center for the Al Qaeda in the Islamic Maghreb– (who are still a problem in Algeria), international military training so that US and Tunisian officers work together on improving the Tunisian military’s communications capacity, and English language training so that the US has good relationships with mid-level Tunisian military officials who will become senior officials 10-30 years down the line (no matter who is President then). It seems to make sense to me that the United States would help Tunisia secure it’s large desolate borders and have SOME KIND of ongoing military relationship with officers of a non-hostile strategic nation. All non-essential assistance was slashed from foreign assistance… so Stephen Zunes is not a very credible source, in fact I know the guy from my UC Santa Cruz days and I know he is willing to make up just about anything to make the United States look bad. don’t have the same take on zunes but will check out the $12 million figure. thank you for all the details…am much appreciative and will take everything you wrote seriously.